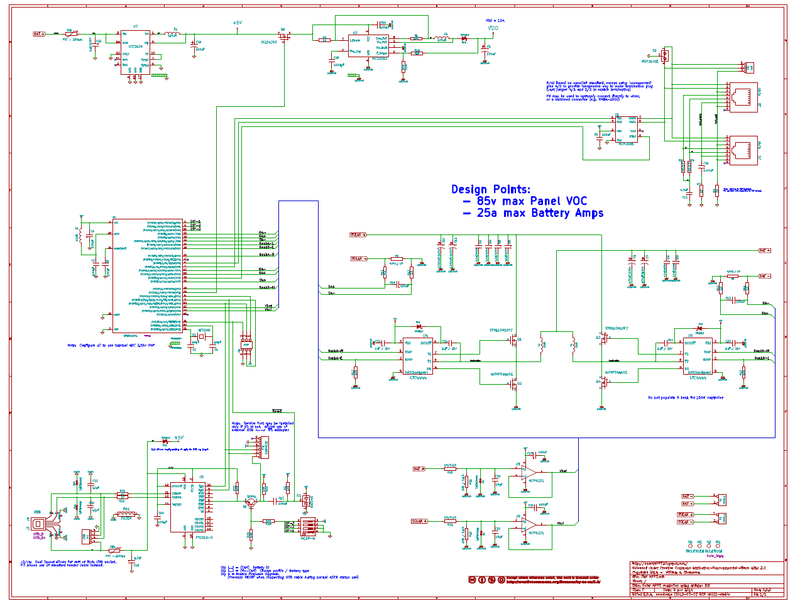 Tonight I posted what I am calling the last of the 'Rough Cut' schematics; last as I have completed my initial review of the switchers - and am well underway in PCB layout. 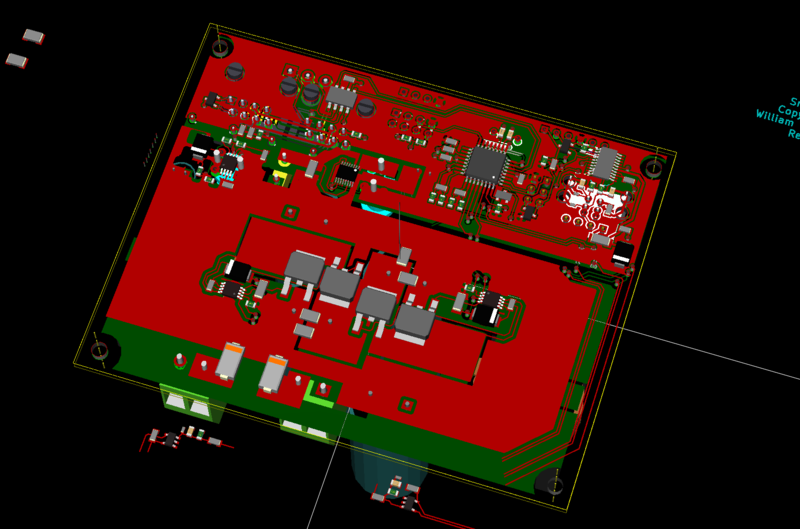 Next step will be to release v0.1 of the design, along with the CAD files. Over the past weeks or so I have been focusing on the FETs and doing a bit of SPICE modeling, paying attention to the transitions. As a result I swapped out the FET driver ICs for ones that are able to drive the FETs harder, removed any imposed gate resistance, and also removed the bypass diodes around the lower FETs. This last step might seem odd, but in refining things I have been able to greatly shorten the dead-time, currently looking at using 35nS as a very safe starting point. This short time seems contrary to some folks thinking for such large FETs, but actually is in line with start-of-the-art designs - Drive the FETs Fast-n-hard, and with the right drivers (ala the LT's I am now specifying) am able to get real tight switching w/o any adverse effects. Upgrading all FETs to 100v parts, allows use of two common panels in series for 24v/48v batteries. Reduced some of the large switching CAPs, still have plenty for the design. With these changes, the .xls sheet is indicating 98.6% - 98.7% conversion in the core. SPICE modeling seems to confirm this, will see with actual hardware. I have also been revising the layout of the core switching elements to minimize current paths. 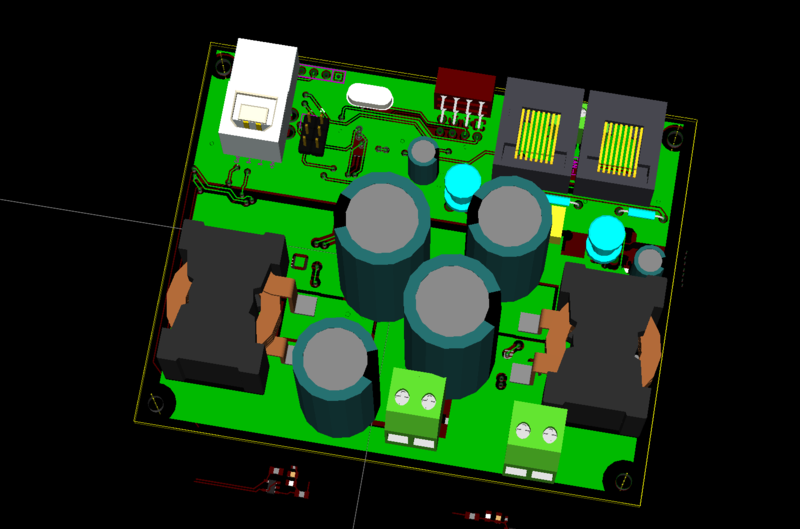 I still have some work to do, and may end up modifying the schematic some, but largely I think this is close to what the finial design will be. Note how some parts are still not places, I need to work on the drivers a bit more - but overall am happy with how this layout is shaping up. We are about to begin our move from Minnesota back to Washington (and Viking Star) - with a stop in Portland for the Holidays. It is likely I will not have too much time to put into this over the next few weeks, hence I wanted to get what I had posted. But I do intend to finish this in time to order up some PCBs and parts so I can start playing with hardware after the new year, and when I am back at the boat with the solar panels!